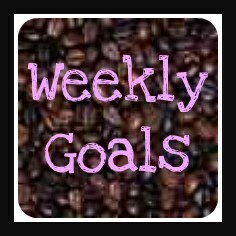 Oh boy, it has been TOO long since I have done my weekly goals! My house is showing it too, I am way behind on things. Silly me, I had thought with Summer here life would slow down for a bit. I could not have been more wrong! It is only a little over a month before school starts again! I just sent G off to camp for another week, hard to believe he is old enough for Jr. High camp! I am a little worried he will come back an inch taller and have outgrown his shoes again. Back in April I posted hat G was wearing men's size 9 shoes, in June I had to buy him size 10! Ack! He is growing like crazy and I don't see a break from that anytime in the near future! 8. Work on Farmer's Market stuff for the 21st so I don't stress next week! 9. Water & Weed every day, harvesting as needed! 10. Can apricot, peach and strawberry jam and hopefully some okra! This feels like a good list that will really help me get back on track but still take care of the most important things! Have a blessed week! Chai Latte Ice Cream - My Moment of Brilliance! All dressed up and feeling fabulous!